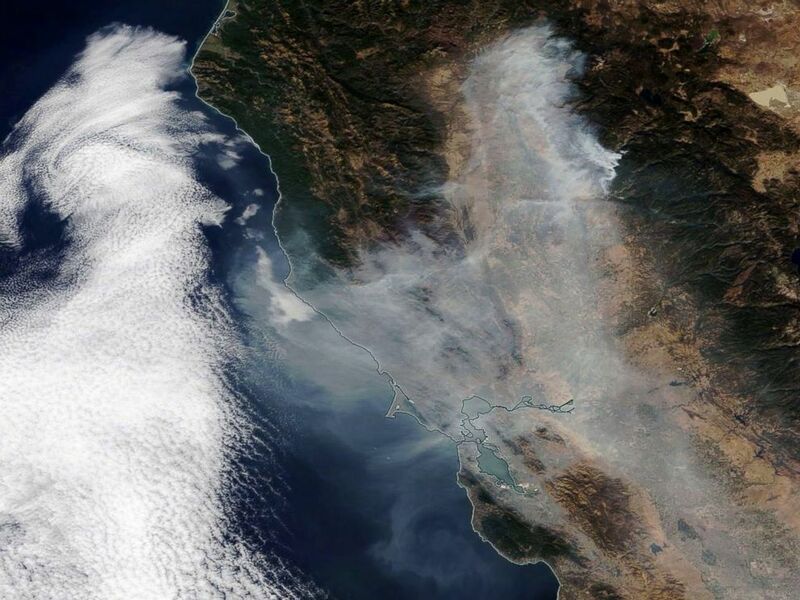 The vast majority of the deaths -- 84 in total -- were due to the Camp Fire in Northern California's Butte County, making it the deadliest and most destructive wildland fire in the state's history. A multiagency task force, at the request of the Butte County Sheriff's Office, has captured detailed aerial imagery maps of damaged properties in most of the burn areas in the town of Paradise, as well as video surveys and 360-degree drone panoramas of all major roads in the area, according to the sheriff's office. "This has been a tough situation for all of us," Honea said in his video message Thursday. "We're in this together. We are Butte County strong." 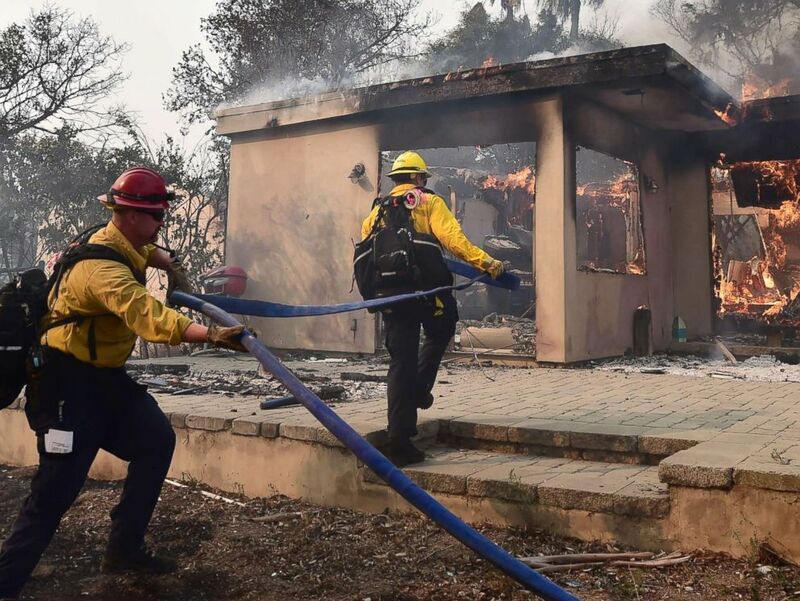 Firefighters have made significant progress in containing both wildfires in recent days, and much-needed rain doused the scorched areas Friday. 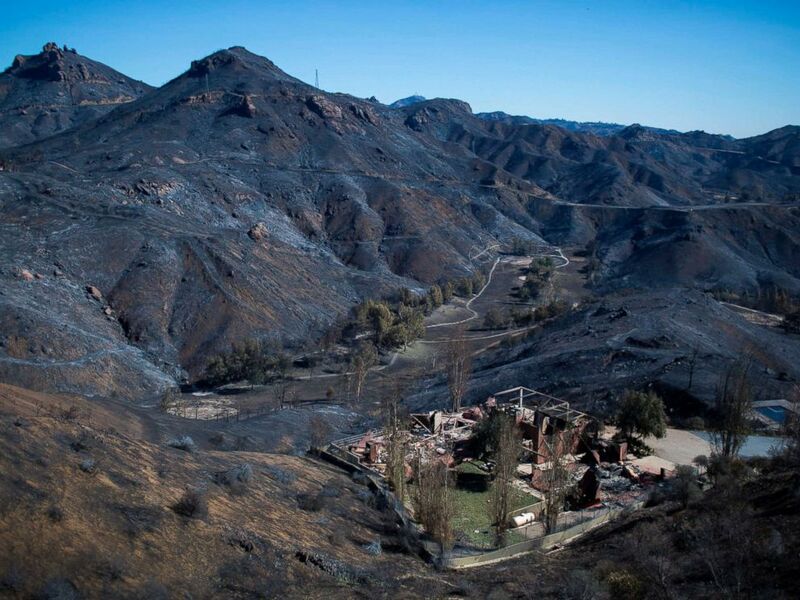 However, heavy rain did bring new dangers to the burn scar areas in the form of flash floods and mudslides. 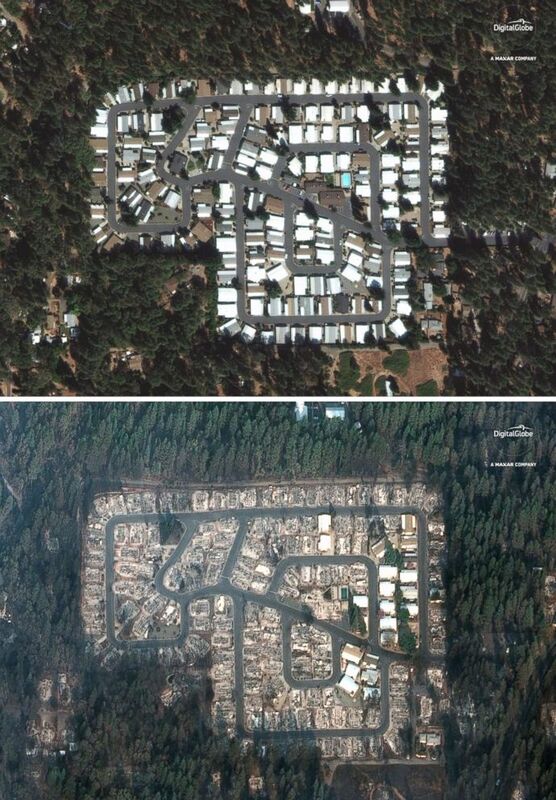 Residences leveled by the wildfire line a neighborhood in Paradise, Calif., Nov. 15, 2018. 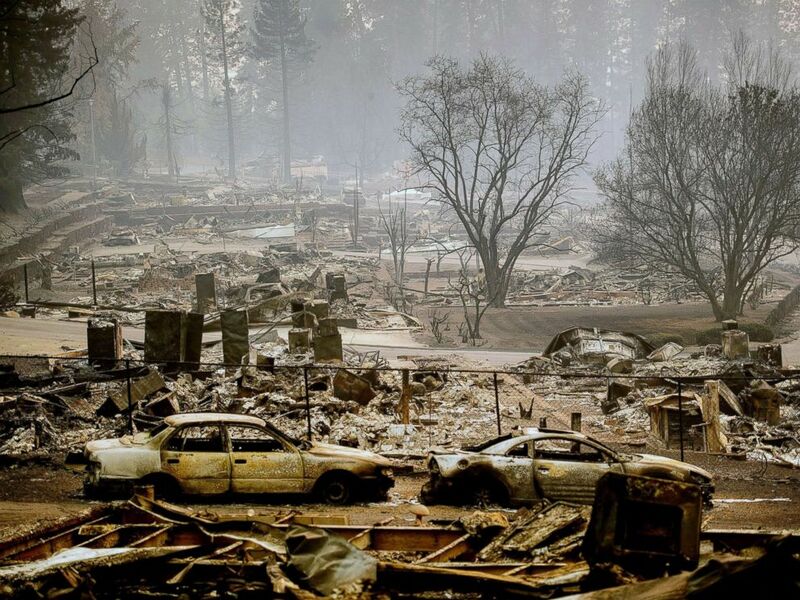 Homes leveled by the Camp Fire line a development on Edgewood Lane in Paradise, Calif., Nov. 12, 2018. 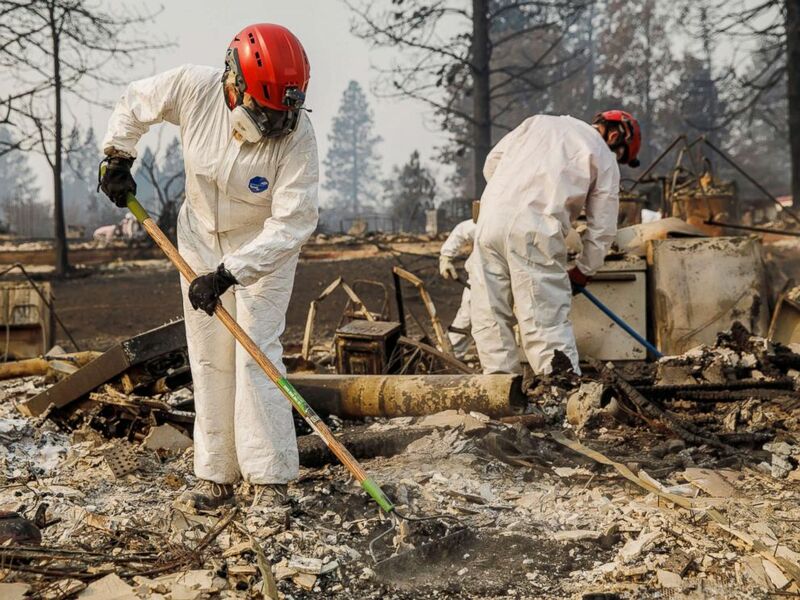 The death toll from the Camp Fire increased to 84 on Thursday, after officials found still more bodies in the burned-out rubble of homes and melted cars, according to the Butte County Sheriff's Office, which has warned that the remains of some of the missing may never be recovered due to the severity of the fire. 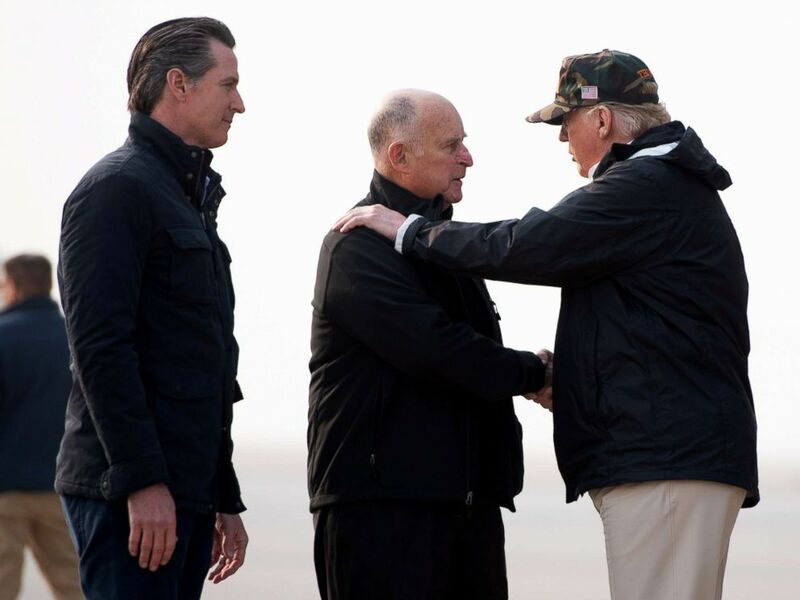 "It is by far the most deadly single fire in California history and it's going to get worse, unfortunately," Porter has said of the Camp Fire. Many of the deaths have ocurred in Paradise. "The entire community of Paradise is a toxic wasteland right now," Schuster said om Nov. 13, holding back tears. "In addition to that, and this is the hardest part for me to even talk about, the number of fatalities is [among] things that we don't know at this moment and that's something that has to be determined before people can move back in." 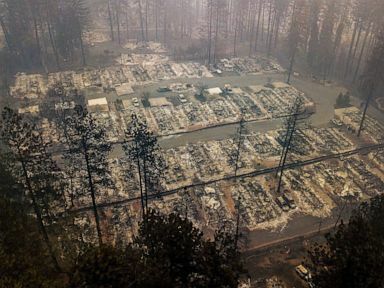 The Camp Fire, which has scorched a total of 153,336 acres in Butte County, was 95 percent contained Thursday night as thousands of exhausted firefighters worked around the clock to quell the inferno, according to the California Department of Forestry and Fire Protection. More than 18,600 structures have been destroyed by the blaze. 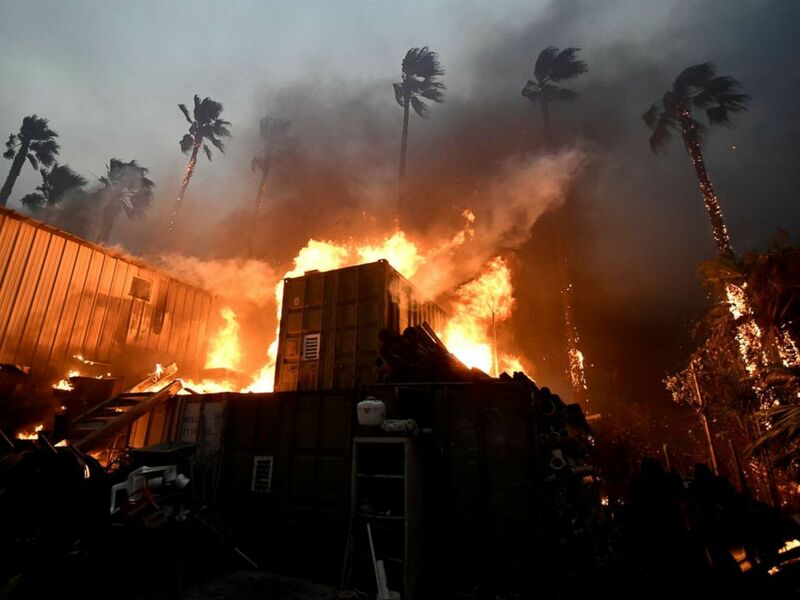 The blaze burned down a portion of Paramount Ranch in Agoura Hills known as “Western Town,” where hundreds of movies and television shows, including HBO’s "Westworld," have been filmed, dating back to the 1920s. "We are working closely with state health authorities and monitoring the needs of healthcare facilities to provide whatever they may need to save lives and protect health," Azar said in a Nov. 14 statement. "This declaration will help ensure that Americans who are threatened by these dangerous wildfires and who rely on Medicare, Medicaid and the Children’s Health Insurance Program have continuous access to the care they need."